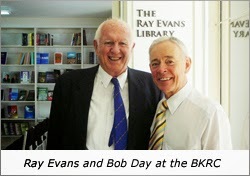 I was greatly saddened to learn, via email, of the death of Ray Evans. 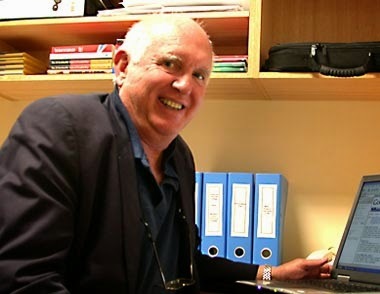 I first met Ray sometime in the 1980s, when he was an indefatigable fighter for labour market reform. The attempt by the new Hawke Government, via the Hancock Report, to expand even further the legal privileges of the union movement inspired him to co-found the H R Nicholls Society. It was typical Ray--to get politicians, business folk, academics, people with relevant experience to come together, to analyse, to inform and, above all, to not have the sense of being alone. Ray was a great opponent of the perennial modern tendency to try and declare debate closed and the holders of dissident opinions to be wicked. As the Society's website announces, the Society is in favour of minimal regulation of the labour market. More specifically, it seeks freedom of contract and association. Not to have special arrangements and special privileges entrenched in law. The Society itself was subject to ferocious denunciations from within the "Industrial Relations Club" (the IR Club), not least from those employer organisations who relied on selling their services as navigators of regulatory complexity. Said organisations were nowhere near as publicly and virulently vocal as the union and wider labour movement, but their hostile backgrounding of journalists against the Society helped to entrench the "extremist" tag. 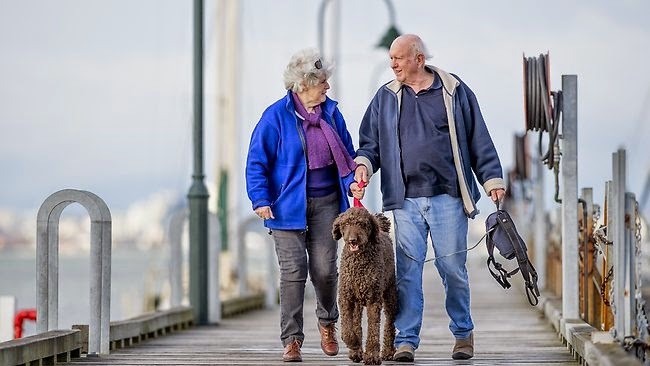 Yet, looking back, the current regulatory structure of Australian labour markets have moved much more in the direction the Society advocated than its critics wanted. Labour market regulation still protect job incumbents against labour market outsiders, but a great deal less than used to be the case. Union privilege has been pared back somewhat. As the Australian and the Victorian Opposition Leaders both contemplate the embarrassments that the corrupt thuggery that so intensely tribal a culture as the union and labour movement is, alas, prone to, the case against said legal privileges looks even better. 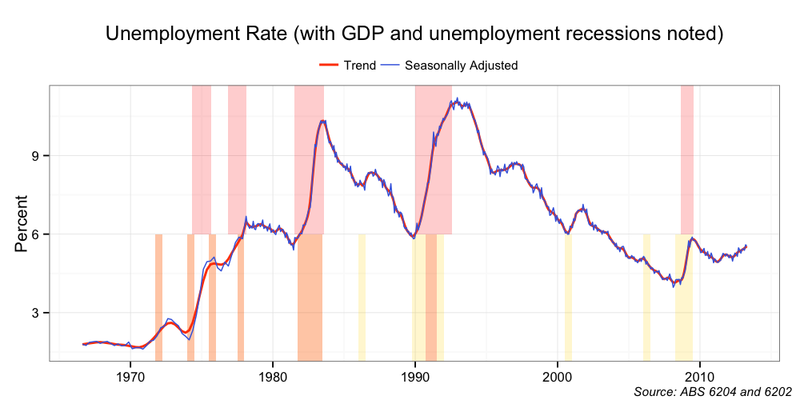 Australia enjoys comparatively low unemployment (though not down to pre-1973 levels); the previous pattern of each round of the business cycle leaving unemployment higher than it was before has been broken. 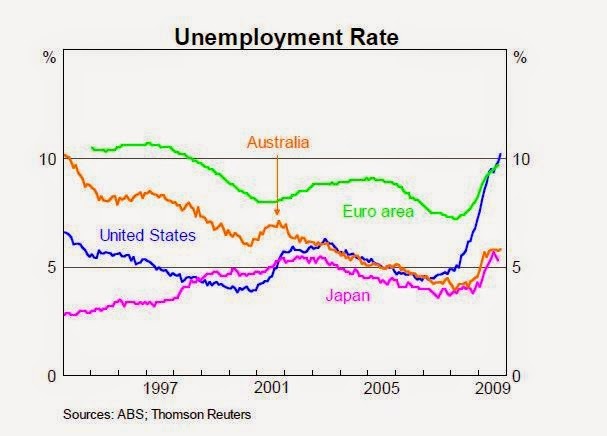 The biggest single factor in that was getting monetary policy mostly right, but the opening up of the labour market also played a role. The more regulations privilege insiders, the more folk are left on the outside (which is what unemployment is): a principle the entrenched high unemployment (particularly youth unemployment) of many European labour markets display. Through it all, Ray Evans just kept going. He once described himself as a "defender of sound doctrine" and it was this combination of being certain in his own mind, coupled with a great appetite for knowledge, which he could deploy with great facility, that made him such a powerful advocate of ideas. He was also a much-travelled man, with great anecdotes about his travels. Such as being in Iceland when they were celebrating their great diplomatic success in blocking Australia's election to the UN Security Council (they took umbrage at our anti-whaling policies) or Texans being completely puzzled by the notion of Government "releasing land" for housing. It was always an error to too glibly pigeonhole Ray. This was brought home to me when he expressed admiration for Oliver Cromwell, describing him as a "great man". Ray took a broad view of the heritage of the past and the possibilities of the future. He was very much against "blood-and-soil" notions, believing that liberty and salvation were possibilities open to all who embraced what they required. The dynamism of Western civilisation is its most distinctive and enduring feature, creating constant conundrums for Western conservatives, hence a prudential liberal such as Edmund Burke becoming an icon of Anglosphere conservatism. Another way in which Ray followed Burke was his religion was a great anchor for him amidst the storm of debate and events. Contemporary trends within the Anglican communion distressed him. I am not surprised that, according to Patrick Morgan's obituary, he contemplated moving to the new Anglican rite of the Catholic Church ("crossing the Rubicon"--going to Rome--as it is known), but also not surprised he never took the step. He was ultimately grounded in Anglosphere Protestant traditionalism and, however much he sought to encourage like-minded folk to discuss and debate and then, so fortified, contribute to the wider public debate, the Protestant notion of being naked before God spoke to him. He was very much a man looking forward to what future could be created, however grounded in the past he was. We were never friends, simply associates. We disagreed on some obvious matters. But I always treasured the spaces he opened up for civilised discussion, debate, learning and sharing of experience. He had been physically frail for sometime, though his mind was as definite and active as ever. He was a man who was very definitely there, you noticed Ray. He had strong sense of humour, with a hearty laugh. If you offered him a thought or significant fact he had not come across, a quizzical expression would cross his face as he considered what was offered. If he thought it was simply wrong, he would disagree vigorously, forcefully and knowledgeably. Part of what made him so effective, is that he never felt any great need to take credit. The goal was the thing. Some years ago, a think tank he had not been involved in presented him with an award for his services to public debate. At the dinner, he gave a speech centring on how important St Augustine's ideas were for the development of Western political traditions, connecting the deep past to the present and prospects for the future. Including how important working class patriotism had been to the survival of the West. He finished, and simply left the podium. He had had his say, he left his audience to consider the ideas presented to them. His death leads me with a sense of being bereft. But the sense of what is lost and gone is itself a tribute to the worthiness of the man who is no longer with us.